You have probably seen more than one product coming from China that you can associate with another, more popular product by a Western company and hence, we have the cliche about “cheap Chinese knock-offs”. With Chinese phone tech companies on the rise in the past few years, however, some have argued that some Chinese phone makers are are now finally aspiring to build their own identity and change this perception. We ourselves were impressed with the hardware design of phones like the Huawei Mate 10 Pro and the Xiaomi Mi Mix series that look both stylish and original. Unfortunately, that is not quite the case with Huawei's latest and arguably most important phone: the new Huawei P20 Pro. Rather than continue in the footsteps of the original Mate 10 Pro design, Huawei has made a 180-turn with the P20 Pro and the new phone looks surprisingly similar to one other certain phone. 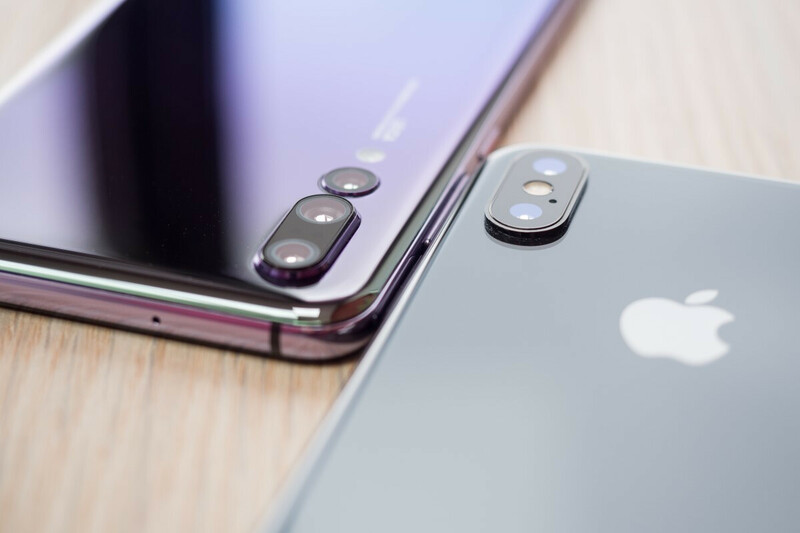 It’s just obvious: the notch, with its similar shape and form, the overall design styling with the glass-metal look, the vertical camera arrangement positioned on the left handside on the back of the phone, the curved metal sides that are now shiny as well, the drilled holes for the microphones, and then even little things like the icons (of course, Huawei’s music icon has to look eerily similar to the one on the iPhone and there was of course no other way to make Huawei’s health icon than an identical red heart on a white background…). We can go on and on: the identical dialer icon, the clock icon, the weather app icon, but then also inside the weather app, the copycat design of the app that is just a rip-off of the one on the iPhone X and even has the same animations, the settings icon!, the same folder view, the rounded rectangles for notifications, the rip-off wallet icon… it’s everything! We get it: it’s okay to be inspired by great ideas. It's okay to interpret them in your own way and follow when someone else worth following leads the way, but such blatant copying shows nothing but an incredible lack of original thought and great impudence. It’s excessive, preposterous. 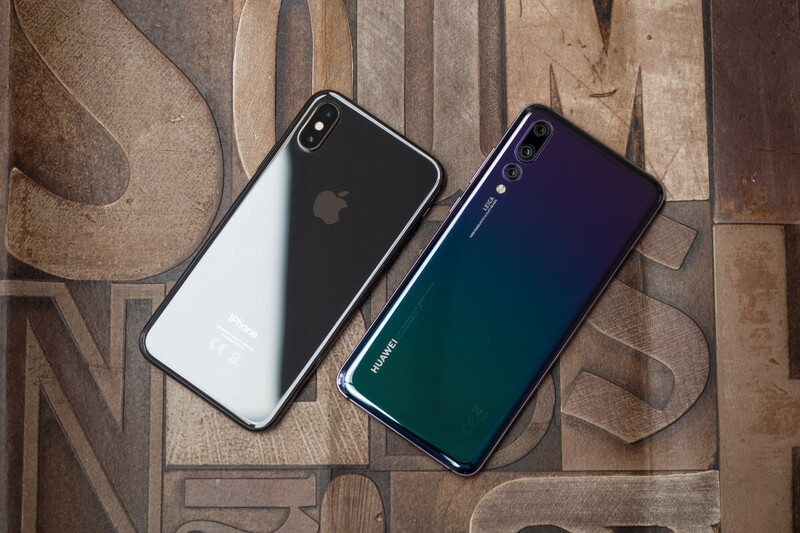 So yes, while the Huawei P20 and especially the P20 Pro are the best phones that Huawei has made to date, they are actually in many ways a shameful rip-off and it's impossible to unsee that. And that really is a shame because the Huawei P20 Pro has an exciting camera - probably the best smartphone camera for night photos out there - and it has a solid battery life, a nice display and a good overall experience. It's a shame because the P20 Pro does not need to copy the iPhone to be successful. Yet it does. And if you are okay with that, you will likely enjoy using the phone, but there will always be that voice in the back of your head that will remind you about Huawei's little sins. let's face it.. most Android phones are. I thought PA already covered this extensively in their review? don't worry PA, we know that everyone is a shameless copy of your beloved iphone. Looks like the author was sitting there somehow having suppressed his anger towards Huawei which he couldn't control further and it got out in a loud long rant. Or Apple paid him a handsome amount of money for this piece. By the way, we know this author's history. It's pretty darn obvious, Apple wouldnt even need to pay for it. It's been known for those who have spent at least two years here in PhoneArena that Victor is a well known iPhone sheep. If you don't agree try to look for several articles written by him here. However, I can't help but agree on his observation. If someone haven't noticed it yet then she/he needs a corrective lenses for his/her eyes. Huawei is the third largest phone maker that's why I can't understand why they can't hire someone good at software design. Although the software icons are a true copy cat of iPhone but it works fine and snappy sometimes even better than the fruit phone. While the best camera design is found in Mate 9.
well the xiomi phones are definitely a stupid copy of iphone x , idk why apple didn't sue them yet. Really? What about the new G7 ThinQ then??? It's from S.Korea like Samsung right? What about ASUS Zenfone 5 from Taiwan??? 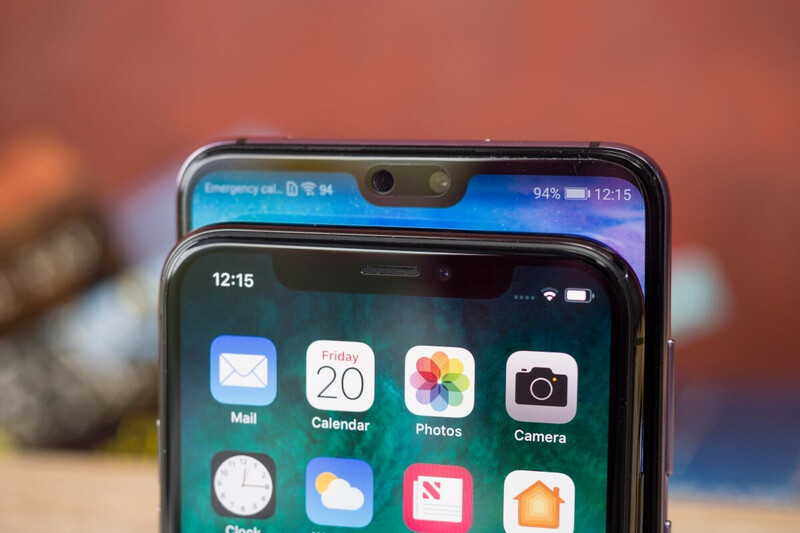 Is you logic here that these phones copied the "feature" of the notch? ..and FYI China would have you believe that Taiwan is part of China. 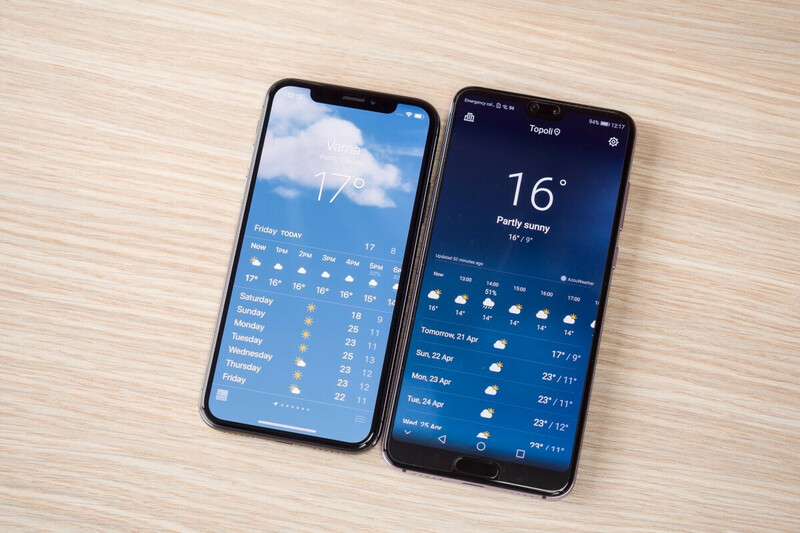 The G7 ThinQ looks infinitely better than the iPhone X. Much nicer design. Are you blind? It looks like a Chinese knockoff at best, and with that chin, fathoms worse than the iPX. Agreed. But the majority are Chinese nowadays.. Good thing that big brands like Samsung, Sony, HTC and outhers still use their own unique design. In some cases you may be right, but let's be honest Apple has copied some of the top Android manufacturer's design features and software features. It goes both ways. I just wish someone would do some actual innovating. Example of software or hardware feature which apple copied and was “popular” before and was not made popular by the apple? (Except waterproof or oled screen which is natural evolution for phones and was expected to happen sooner or later). Notification center, control center, larger phones, the apple pencil, OLED displays as well as full screen displays, wireless charging, stereo speakers, and many other type of software features. You're argument isn't sound. You even had to say that the features needed to be made popular by Apple but were already features on other phones. Could your argument of "natural evolution" of these features not then be applied to the android phones who are copying features of Apple like a vertical camera stack? Realistically, Apple copies things from Android and some Android phones copy things from Apple. Both sides are guilty of it. iPhones would have never "naturally" joined the Phablet size phones we have now if it wasn't for Samsung persisting with their Note line.With Apple's popularity it is inevitable that some Android companies are going to copy some of their features, but you would be silly to try and argue that Apple has not and will not also do the same thing. My words exactly bro! All "new" iPhone features are old Android features. Just to add: - high resolution displays; - iOS 11 gestures are copy from Palm OS; - NFC; - fast charging; Etc, etc.... Victor H. is just blind Iran. This article is biased as the review he made on P20Pro. You cannot list a bunch of hardware features and software features like this, it doesn't make any sense. Features are open to anyone because mostly they are developed by some third party company and it's a matter of time OEMs embrace them. According to you Samsung has copied so many features from Apple also like finger print, dual cameras, vertical cameras, stereo speakers, so many software features etc... But external design and software design are different. You should be able to design your own thing for any feature you'd like to include, and make it look like an original thing. People select a phone by it's design aesthetics mostly. Pretty much every feature you mentioned that Samsung "copied" from Apple was actually on another Android or other phone first. Dual camera- HTC had it before Apple Fingerprint- Motorola had it before Apple Vertical camera- LG had it before Apple Stereo Speakers- Sony had it before Apple So I'm not really sure how it would make sense to explain to you that Apple at so many different times is not the innovator of these features. Is it that it doesn't make sense or that you don't want to hear it? I'm not bashing Apple or even saying anything bad about them as my daily phone is an iphone. My entire point is this one way view of everyone only pointing out when someone copies a "feature" of apple or some of their design language is stupid. Go back in time and see how Apple's design of the iPhone 6, 6s, and 7 all look very similar to HTC one phones. If you can't see my point by now then it is obvious that you do not want to see my point. Apple is a single manufacturer where as when you say "android" it means hundreds of them around the world. Apple was never about being first but to be best at what they implement. That's exactly why Samsung. the largest OEM in the world copies features from Apple after those features get more popular among consumers. Android is not a smartphone manufacturer, it's merely a paid and bought OS by Google from Andy Rubin. Samsung has copied so many software features from iOS that I have no time list here even. Go search and learn about the ongoing legal battles on these issues. Apple won a external design case with Samsung for this reason. Samsung even copied the packaging of the phone from iPhone. It's not about being first, it's about embracing some feature by making it truly unique in implementation, functionality and design. 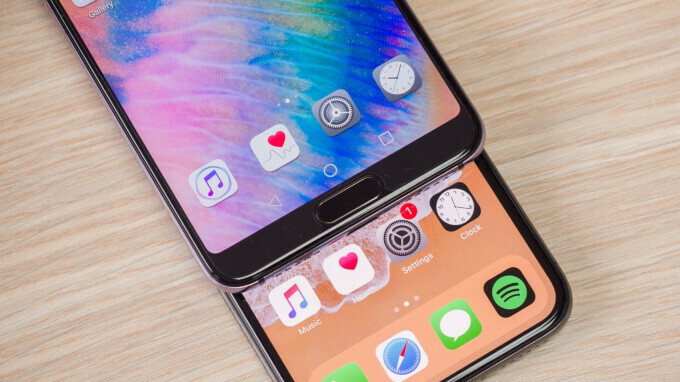 Wait until Samsung and Google embrace the notch next year and tell me they didn't copy Apple......lol It's a direct design feature, the notch doen't give any unique functionality thus copying is makes it all look ugly and unauthentic. The argument was about everyone talking about people copying apple features and how apple does the exact same thing so your argument that apple isn't about being first but to be best is just stupid. I know Android isn't a smartphone, thanks. You have time to rant on about things that don't make sense but can't list any features samsung stole from apple? And you must be talking about the design case apple won with the patent of a rectangle? Yes, I will give you that samsung used a rectangular shape. I will agree with you that it is stupid for others to copy the notch unless it provides a feature. >Samsung has copied so many software features from iOS that I have no time list here even. Control center in iOS, it come from below the display in contrast to above the display in android and design to do completely different set of things in a very different unique design ques. Notification center also very different in core functionality, it even looks different in iOS that on android. There are only 4 corners in a phone to implement a pull in menu in to the screen area.....duh. Again look at the design differences. Larger phones???? Really........lol ha ha haaaaaaa!!!! Is it a feature?? Don't be so naive and stupid like most android fanboys here. Stylus was invented long before android and Apple implemented it very differently than anybody else, it functions better than the competition and again it looks unique and different than other styluses. Meanwhile Samsung came up with there stylus pencil too after Apple's own pencil and it's a shame. OLED is not a feature, it's a display technology developed by many companies around the world including LG, Samsung and Sharp. It's not confined to android by any mean. It's a matter of preference and cost that kept Apple away from OLED in the first place. What is "full screen displays" even means??? Apple made the first ever multi touch smartphone with a largest screen ever at that time in 2007. I don't have time to play this stupid game with you like this. Try to understand the meaning between blatantly copying and embracing a feature and making it unique in design and functionality. Samsung even copied the portrait mode in iOS, they even named it exactly like that.....lol Look at Aremoji, a blatant replica of Animoji from iPhone X. 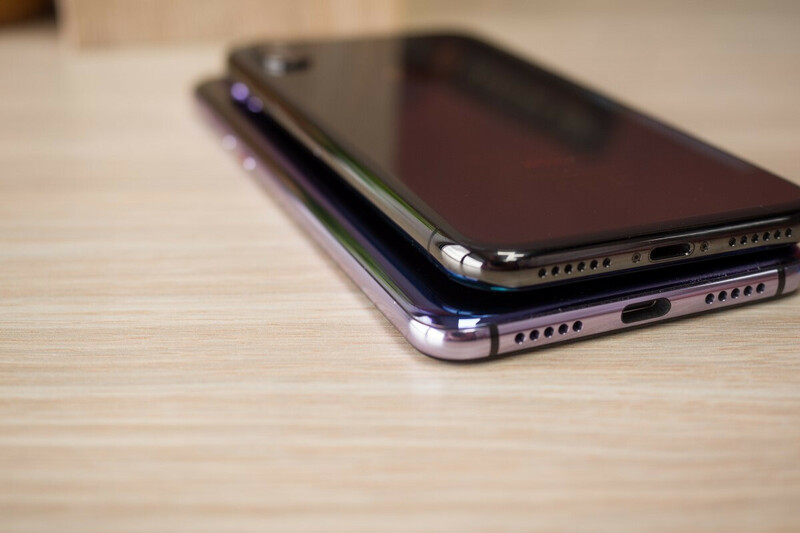 Wait and see they come up with the notch design next year and tell me I'm wrong. Control center on the iPhone X comes from above..next So apple copying the notification center because only a lack of corners in a phone but yet you argue apple won a patent case against samsung for a rectangle..only so many shapes...next Yes, larger phones is a feature that steve jobs even said would never happen on iPhones. Hey stupid, what size are iPhones now? Again, steve jobs said no one wants a stylus..and what do iPads feature now? A stylus that doesn't even have as many pressure sensitivities as other brands better implementations. If the notch is a feature according to you then OLED is a feature. Oh and who does apple buy their screens from? Oh s**t, its samsung. What is grammar even mean? Oh I'm sorry you don't understand the difference between an iPhone X or an iPhone 8/8 Plus screen? Better do some research. So you think because Apple blatantly steals features and then tweaks them a little bit and calls them something fancy that it makes it right? Seriously where is the common sense anymore? I've been using Apple phones and various different Android phones for the past ten years and I've watched features from Android manufacturers just magically show up on iPhones years later. I have also watched other android manufacturers take design cues from Apple. Open your eyes. They all steal from each other. Stop blindly giving these companies that don't even know you exist your loyalty for nothing. >Control center in iOS, it come from below the display in contrast to above the display in android and design to do completely different set of things in a very different unique design ques. @BoatsBoatsBoats Those companies you've mentioned may released the first of their own design. But there's something lacking to your own observation: HTC's Dual Camera - Does the two rear camera's are closed to one another? Motorola's Fingerprint scanner - Was the fingerprint scanner located at the front of the phone where the home button is? LG Vertical Camera - Where they dual in the first place? Sony's Stereo Speakers - LOL! Are you really reading history? HTC was the first to unveil a FFS stereo speaker smartphone! While almost all HTC and sony smartphones that has released stereo speaker smartphones. All of them were designed as FFSS. Apple's design of their own version of Stereo Speakers are two at the bottom and one on the earpiece. So in the end. Apple has made a triple stereo speakers. Compared to the two Stereo speakers which most SS android smartphone has. There is no apple phone that has three speakers. To the left of the lightning port is a microphone. It wouldn't be vertical camera if it wasn't dual it would just be a camera. If you want to be technical, LG had stereo speakers before HTC and there was a Japanese company before LG so? HTC's dual camera weren't right next to each other but is that really the argument? My observation is great, but it would seem you would like to argue just for the sake of arguing so please tell me the next argument you have that has no basis to anything. The fact you don't even know about how many speakers an iPhone has is proof enough that you have no idea what you're talking about. There are so many... wireless charging, fast charging, tap to wake, rase to wake, "hey siri", custom keyboard, widgets, quick settings, google photos features, feed panel on home screen, apple pen, multi window and many others that were not so popular. Google also copies many features from Apple. In the end everything will be the same.